Hey there, I’m Maximilian Eubank. I’m a musician working and living in Des Moines, IA. 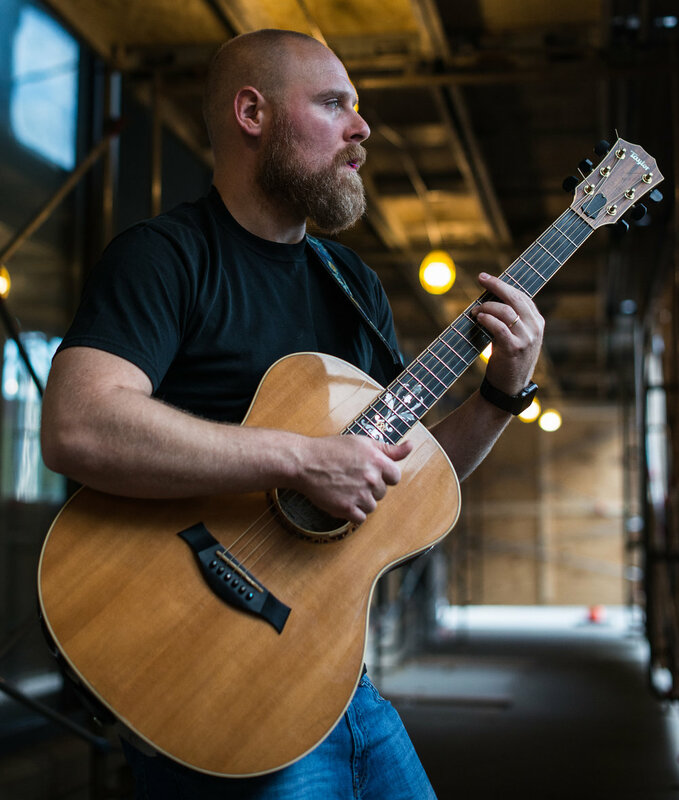 Hailing from Des Moines, Iowa, Maximilian Eubank writes a cross genre of Acoustic music, blending sounds with a sense of Folk, Folk Rock, Anti-Folk, Acoustic Rock and Acoustic Alternative sensibility. With a commitment to melodies that are interesting and infectious, Maximilian embarked upon his musical passions at the tender age of fourteen. Maximilian and his childhood friends ignited an Acoustic guitar band, Triple Vision, where he wrote and created the majority of the music and lyrics that comprised the trio's sound. In a few years Triple Vision turned into a larger band, Euforia, of which he was the lead singer and rhythm guitar. These experiences led Maximilian to eventually moving to Colorado and defining his voice as a singer/songwriter on the music circuit. Maximilian's lyrics and records tend to reflect an introspective point of view regarding lost and found love, systematic injustice, and faith. Some songs even take a scintillating journey through his cynical, yet compelling, perceptions of the everyday hardships of life. In 2008, Maximilian compiled his years of experience into independently recording his debut LP, 10:00 in the Afternoon. The album spawned the success of quite a few standout singles. In 2009 Maximilian put out an EP, Standby, as a stepping stone to his 2012 album, Burping out with Blasphemy. Standby was a continuation of his acoustic background turning out introspective ballads and poetry set to guitar. Burping out with Blasphemy showed the depth of Maximilian’s song writing when he collaborated with several different Iowa musicians for a fuller sound with a full band. Here in 2017 Maximilian is again working in the studio and putting together another EP, A Small Collection of Big Stories, set to release in this Winter. This "quartet" of songs that comprise Maximilian's "Big Stories" show a versatile side that is new to his portfolio of works. Born in Laboratory, a poetic auto biography of sorts, is a de-facto ska tune, while Fast but Soft, the story of wayward cool cat Jester, is a funk based groove. The accompaniment on this EP, a mishmash of Iowa and Colorado based musicians including members of Eufórquestra and The Candy Makers, definitely make Maximilian's "Stories" much "Bigger". While my occupation lies in the legal world, my passions live with my guitar, lyrics, and melodies.